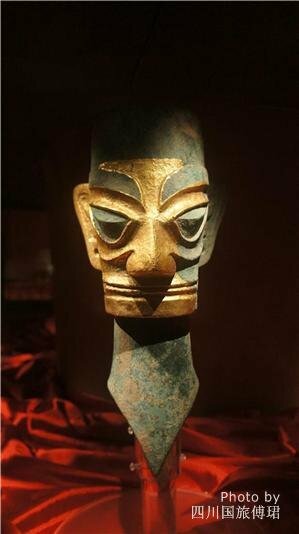 Located about 40 kilometers northeast of Chengdu, Sichuan Province, Sanxingdui Archeological Site has artifacts dating as far back as 5,000 years ago. 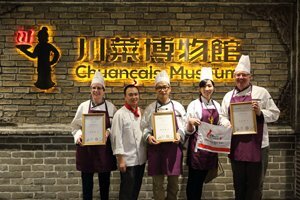 It is the largest museum in southwest China, with a large number of precious relics, and it is grandly called "the origin of the civilization of the Yangtze River". The exhibitions in this large-scale museum date back to the Bronze Age, covering a wide range of relics, such as bronze masks, jade articles, and some gold objects. Among the treasures, the world&apos;s oldest life-size standing human statue, which is 260 centimeters tall and weighs 180 kilograms, is one of the most famous and precious. The name Sanxingdui means ‘Three Star Mounds’ and refers to three large mounds of earth at the site, which are thought to be the remains of an earth and brick wall. In 1986 two major sacrificial pits were unearthed that aroused academic attention around the world. 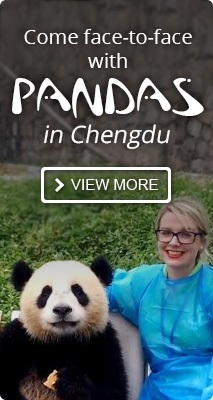 Archeologists realized that the relics found at these pits and subsequent discoveries were the remains of a previously unknown city and civilization that existed during the Shang Dynasty period (1600–1046 BC). Until then, it was thought that the Shang Dynasty, located in northern China around the lower reaches of the Yellow River and Yangtze, was China&apos;s only Bronze-age civilization. The Sanxingdui finds are exciting, but they remain enigmatic. No texts have been found, and there is no mention of this culture in the records of other cultures. 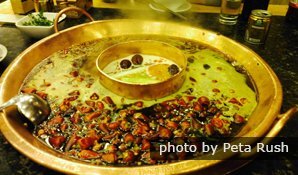 Analysis of lead and other elements in the bronzes indicates sources similar to those of other cultures along the lower reaches of the Yangtze River. At this point, however, the unique culture that produced these artifacts remains an intriguing and interesting mystery. The Sanxingdui Museum is architecturally interesting, has an interesting garden, and the artifacts are beautiful and fascinating. The artifacts are world-famous, though only recently discovered. The first exhibitions of the Sanxingdui bronzes were held in Beijing in 1987 and in the Olympic Museum in Lausanne, Switzerland in 1993. It is a museum equipped with modern facilities, and has a landscaped garden. The design of the museum is simple, but the objects are presented well. The museum architecture is interesting because it is spiral shaped, so visitors walk upward from one hall to another. There are two galleries. Visitors walk through the first to reach the second. Gallery one displays a variety of artifacts made of gold, bronze, jade, and pottery. Gallery two exhibits bronze statues, sculptures, masks, and other bronze artifacts that have amazed scholars by their craftsmanship and unique styles. Their bronze craftsmanship was brilliant. The smiths mixed tin, copper and lead in a proportion that enabled them to cast some of the largest Bronze-age objects ever found. Visitors will be amazed at the design and size of the bronze artifacts, and appreciate the technological and artistic achievements of the civilization. The first hall of the museum instructs on the history of this civilization. The second hall contains idols and religious artifacts. The artifacts give a clue about the religion, politics and social relationships of those people. 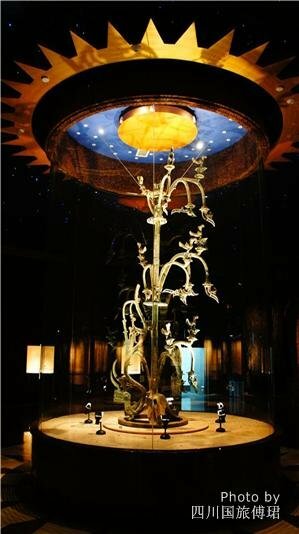 The third hall contains the most famous relics, and many objects are deemed to be Chinese national treasures. The fourth hall instructs on the archeological research that has been carried out over several generations, and on the importance of this archeological site.